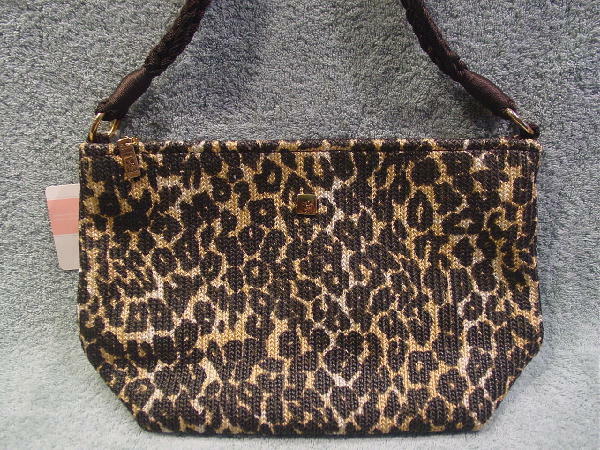 This never-used animal print purse is 100% polyester. It has a vertical high-low texture and a top side to side zipper opening with a gold-tone metal logo pull. The interior dark brown double 100% polyester fabric lining has a large interior zippered pocket with a logo lina tag on its front. The front interior side has two open pockets. On the front upper exterior side is a small lina logo metal tag. 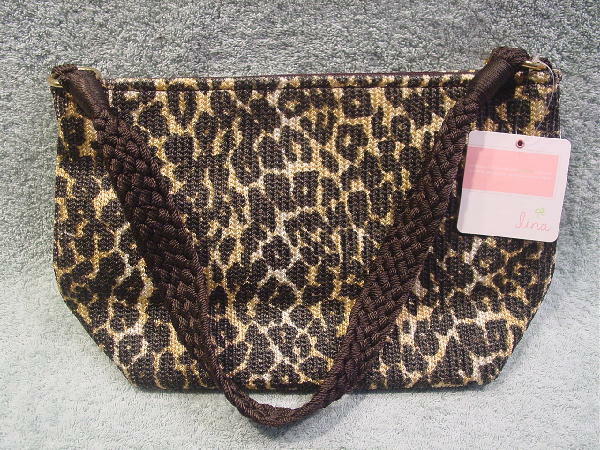 The dark brown 24 5/8" by 1 1/4" handle is woven and attached to the purse by gold-tone metal rings. The bottom panel is somewhat stiff.